A little while ago we were given the opportunity to try out a new range of frozen kids meals by a brand called Kiddyum. The meals were created by mum of two Jayne Hynes who wanted to develop healthy and tasty meals straight from the freezer. Occasionally Chris and I will do a dinner that isn't really suitable for E at 1 year old to eat - especially if it has a lot of spices so we end up having to do an extra different meal specifically for her. We popped out to Sainsburys to pick up one of each of the meals; Fish & Vegetable Pie, Chicken Curry, Cottage Pie, Cheesy Peasy Pasta and Macaroni Bolognese. 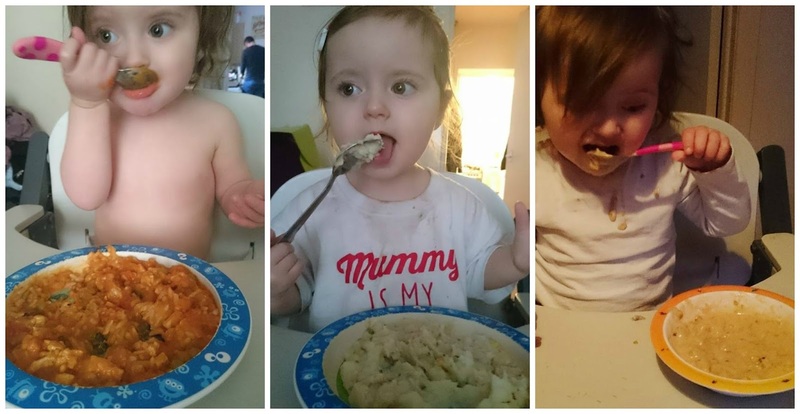 The meals are suitable for children aged 1-4 years and although both of my children are in this age range, I tried them only with 18 month old E as C (3.5 years) is probably the fussiest eater on the history of the planet and I knew he wouldn't touch them and throw a tantrum. 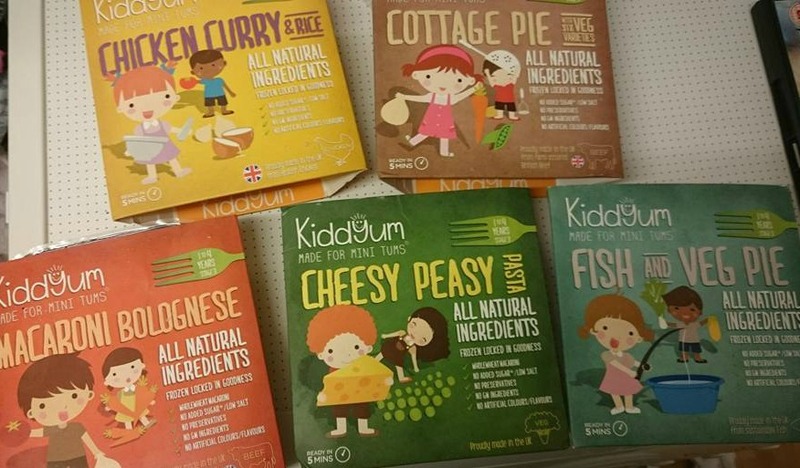 Kiddyum frozen ready meals are packed with hidden veg which is a huge plus. Luckily, E does eat vegetables and does enjoy them but I imagine this would be a great reassurance for mums whose kids won't touch them. They can be cooked in the microwave for 5 minutes or 30 minutes in the oven. I actually don't own a microwave so we had to use the oven option. They all smelled delicious whilst cooking and I tried a little of each before giving them to E at dinner and they tasted just like a homecooked meal and just like they should be. Fresh, too! All of the meals are free from preservatives, artificial colourings/flavours and there is no added sugar and very low salt content. E thoroughly enjoyed every meal and quite a few times she told me that they were "nummy". The portion sizes are perfect for her age and she cleared every plate. I've honestly been so impressed with these meals that I have started buying them with my regular shopping as they are great to have in the freezer on occasions where she can't eat the same as us. I like that I can guarantee a quick, healthy meal where I don't have to spend hours cooking two different meals simultaneously. I usually don't like frozen ready meals as I can't be sure what is in them but these have changed my opinion. 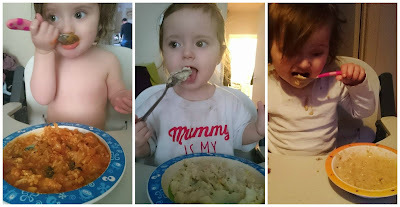 They Kiddyum range is available at Sainsburys for only £1.90 per meal which is an incredibly affordable price for the quality and size of these meals. You can find out more at the Kiddyum website and you can also keep up to date on Twitter and Facebook.